I have been researching oils for the past few weeks and have come to the conclusion that I have to add pure deep green avocado oil to my current regimen. Since our hair scalp and follicles are actually living we should give them proper nutrition like the rest of our bodies. I have been a stan ( stalker + fan = stan) of avocado butter for many years and now that I have researched avocado oil I have to become an advocate for it as well. 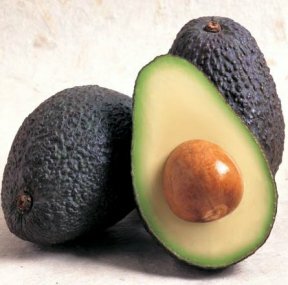 Avocado oil is great for moisturizing dry, damage hair. Avocado oil is rich in Vitamin A, B1, B2, D, and E. It also contains amino acids, sterols, pantothenic acid, lecithin, and other essential fatty acids which will help repair and restore the health of the hair. It's like giving our hair and scalp a vitamin packed smoothie. The research suggests that only coconut oil penetrates into our hair's shaft (Journal of Cosmetic Science pg 169-184,2001), but avocado and olive oil is believe to penetrate our shafts as well. 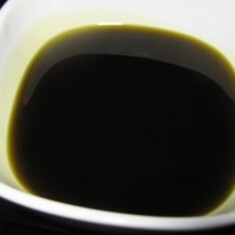 Olive and avocado oils are similar in what they do for our hair, except avocado oil does it better. This leaves us with avocado and coconut oil as the two big bad mamma jammas. The study also suggested that we put these oils on dry hair, not wet hair. Penetrating oils applied to dry hair before washing will prevent our hair from sopping up a lot of water. The pre-oiling controls the swelling of the hair shaft, which will prevent minor breakage and protein loss. When we wash our hair, it drinks up moisture and releases it, which causes a lifting of the cuticles. As you repeat this action over the course of time, your cuticles will start to fray apart from the swelling and deswelling aka hydral fatigue. Penetrating oils have been shown to penetrate the shaft & prevent this damage. (Journal of Cosmetic Science pg 169-184,2001) source. It could also be possible that some of this protein loss is occurring because of the use of shampooing with sodium laurel sulphate as well. So I will add them both to my DeepPrePooTM regimen from now on. I'm going to also put just the raw avocado oil on my scalp to promote healthy hair growth. Vitamin A~ This vitamin is an antioxidant that helps produce healthy sebum in the scalp. So will you try raw avocado oil?